Hundreds of music fans packed into Paisley Town Hall for the Bring it all Home flagship concert – A Celebration of Scottish Songwriting. 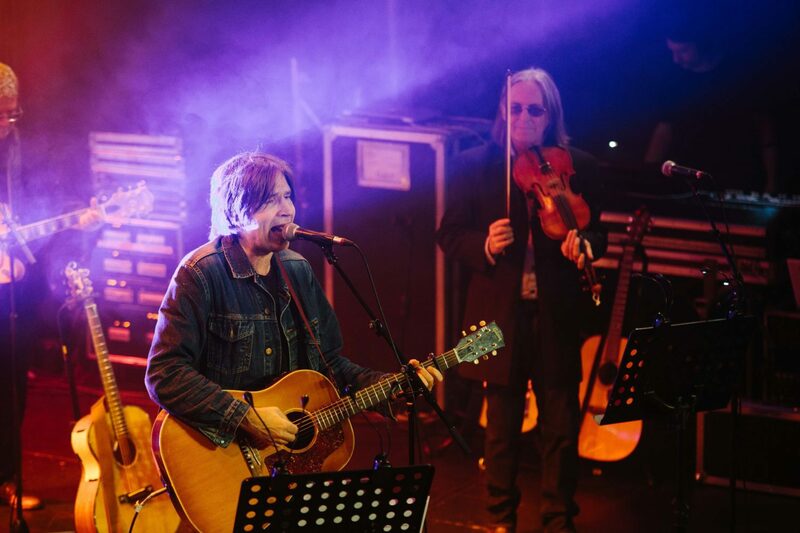 The six Scottish songwriters – Dougie Maclean, Justin Currie, Eddi Reader, Findlay Napier, Emma Pollock and Paisley’s own Michael Cassidy – wowed the crowd at the sold-out show showcasing the nation’s best-loved hits. National treasure Dougie Maclean opened the show with his unique patter before breaking into his first song for the evening. All six artists performed two of their own songs as well as two of their own favourites from other Scottish songwriters. And the night ended on a high with the audience rushing to dance in front of the stage for the final song – Gerry Rafferty’s Get It Right Next Time. This year’s festival line-up also featured a star-studded Music Conference with some of the biggest names in the industry and Youth Music Day featuring today’s Scottish music stars – all to boost Scotland’s music scene both locally and nationally. And the masterclasses with Horse and James Grant, plus Ricky Ross in Conversation, all proved to be popular with tickets to all three sessions selling out. Bring it all Home – run by Renfrewshire Council – is inspired by the legacy of Paisley’s Gerry Rafferty. The event – organised in association with Active Events and Hit the Road and Create – is part of the push towards Paisley’s bid for UK City of Culture 2021. And it isn’t the town’s only major musical offering, with tickets on sale now for October’s Spree Festival, which will see nine days of music and comedy, including a now-sold-out collaboration between Idlewild and the RSNO in Paisley Abbey, plus shows from James Grant, Karen Matheson, Kathryn Joseph, Barbara Dickson and more. 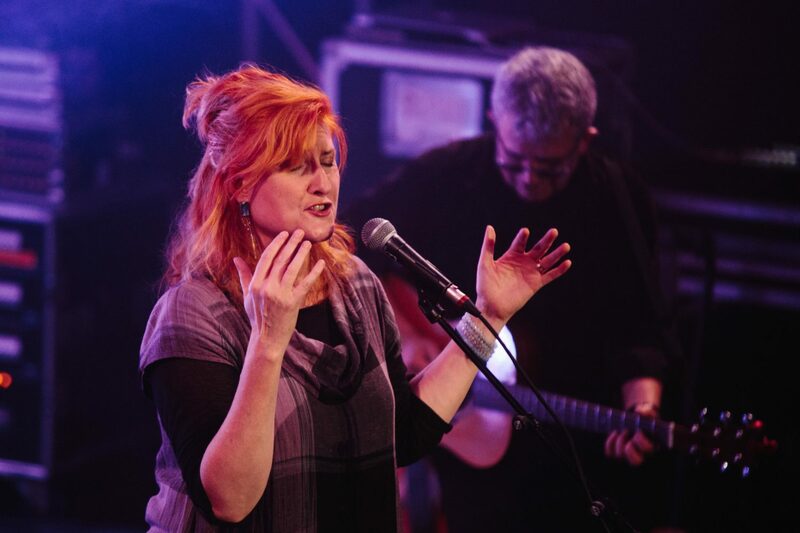 Council Leader Mark Macmillan said: “A celebration of Scottish songwriting is always a popular concert for Bring it all Home and it is great to see so many people enjoy the show. 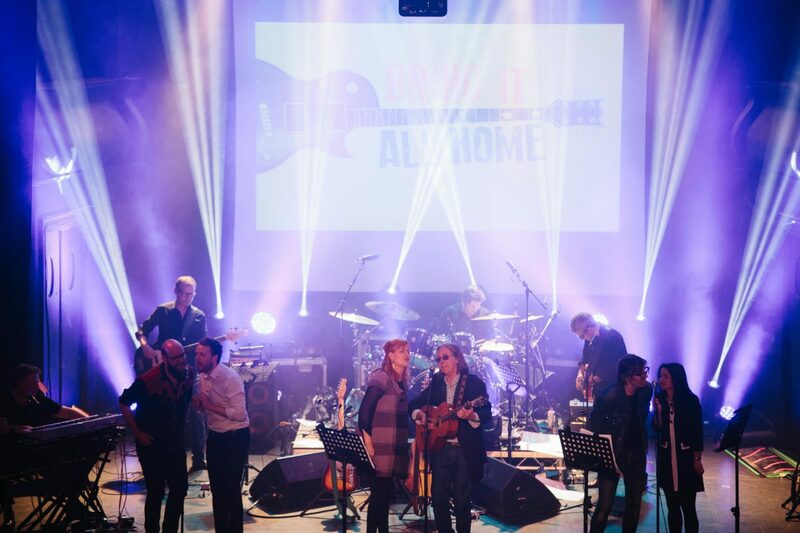 “Scottish songwriting is at the heart of Bring it all Home, a festival inspired by Paisley’s Gerry Rafferty, and the concert brought together six hugely talented Scottish songwriters for a very unique performance at Paisley Town Hall.